Silvena Rowe is a British celebrity chef and a big name of the Dubai culinary scene. She already has opened 2 restaurants in Dubai (Omnia Blue and Omnia Gourmet) and Omnia by Silvena is her new endeavour mixing oriental tradition and contemporary cuisine, just opened in February 2015. 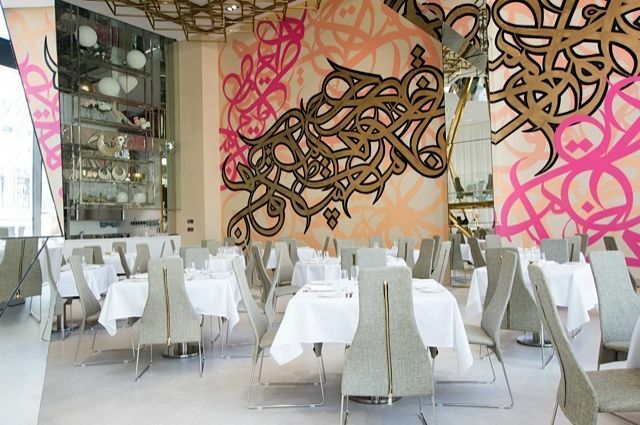 The interior design is stunning with a graffiti by the French artist El Seed,…. Her cuisine is totally in trend using superfoods and organic & gluten free produces while lightly cooking the food.